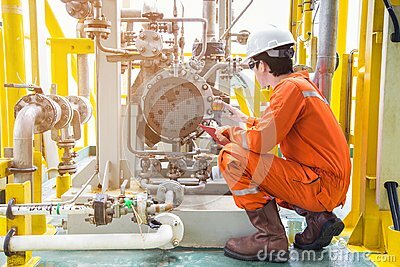 Mechanical inspector inspection oil pump centrifugal type. Offshore oil and gas industry maintenance activities. Mechanic repairman inspecting car, Maintaining car records. Check the car for legality.